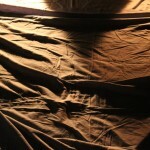 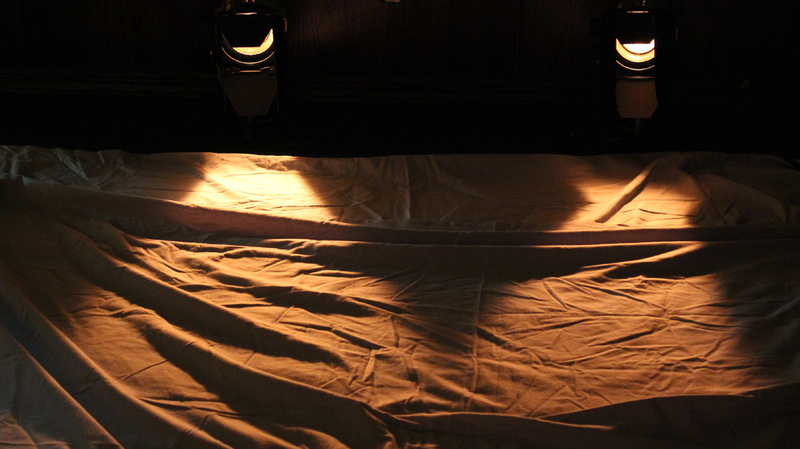 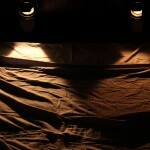 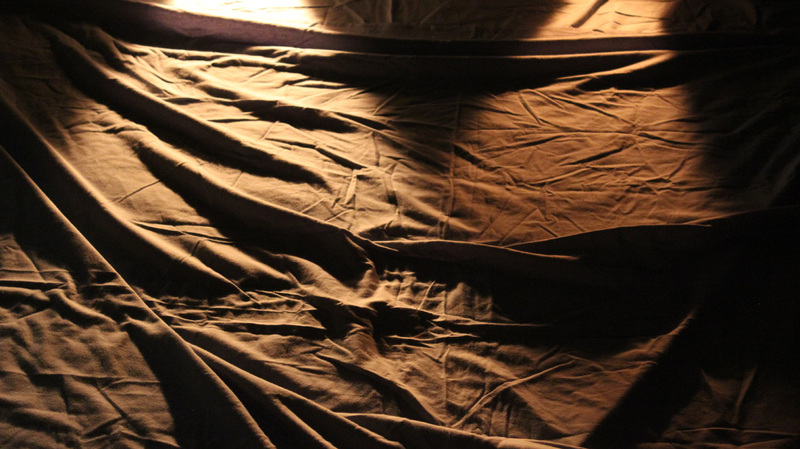 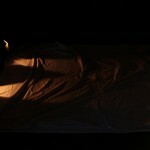 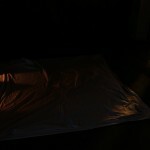 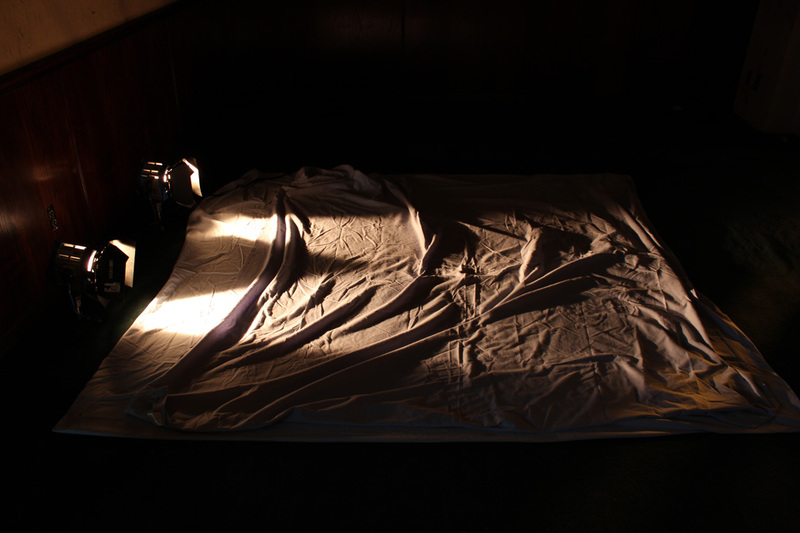 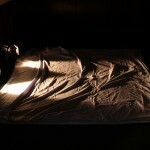 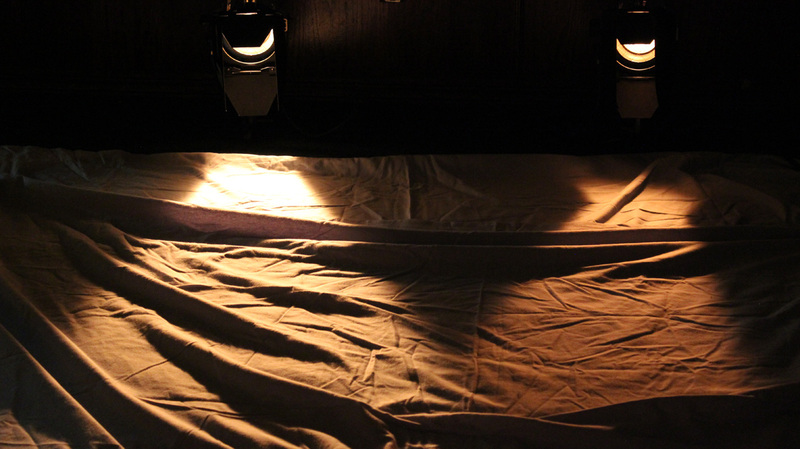 2 light rhythms on a pair of sheets on the floor evoke a couple. 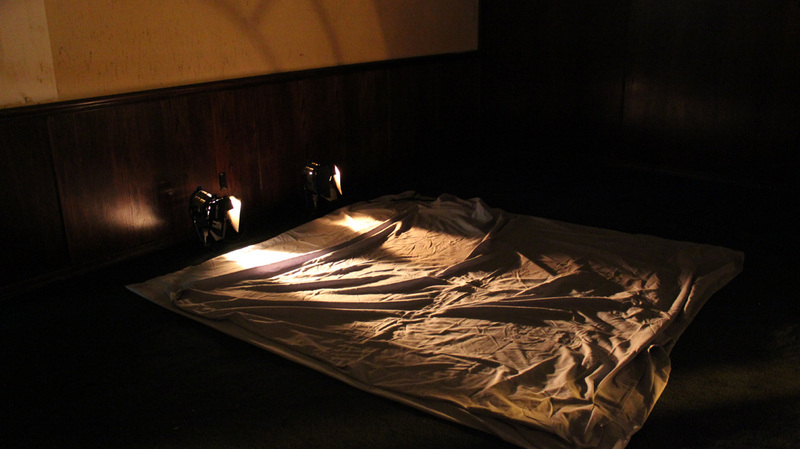 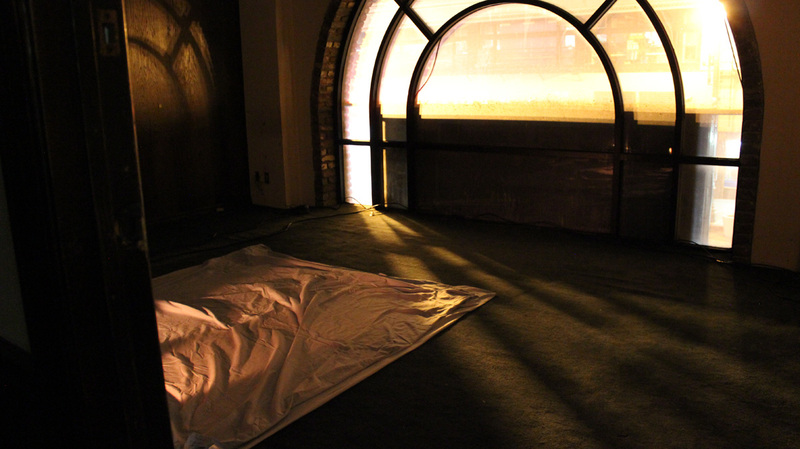 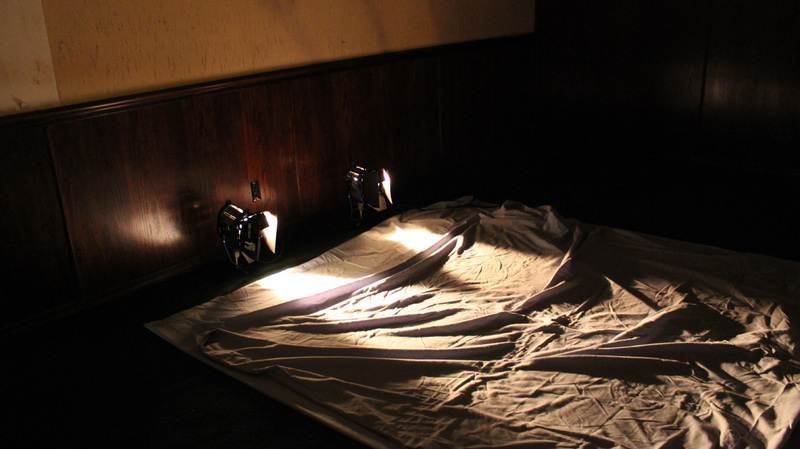 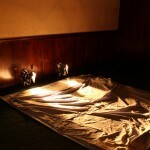 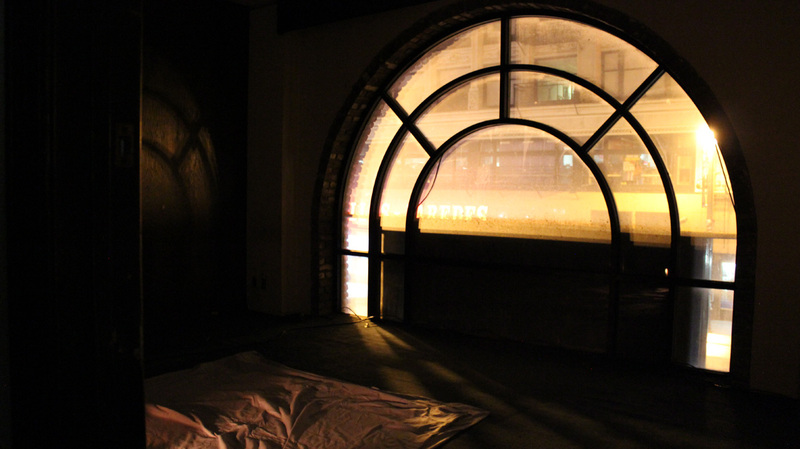 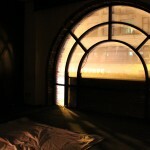 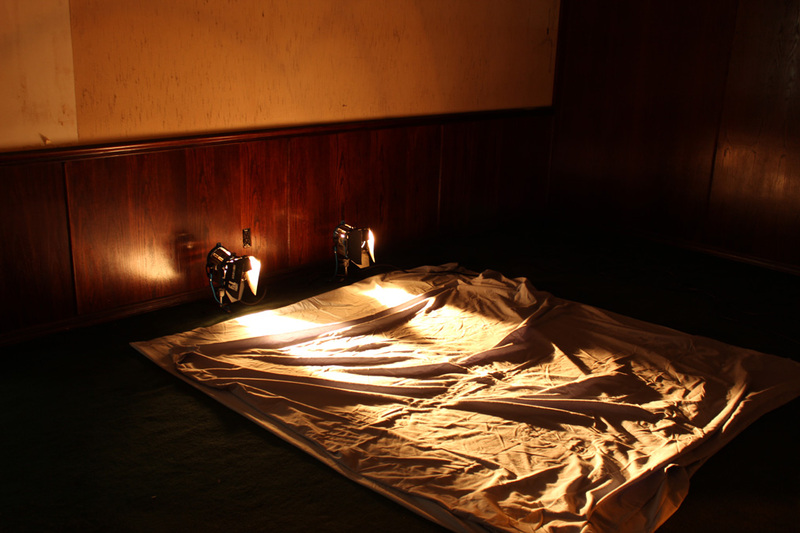 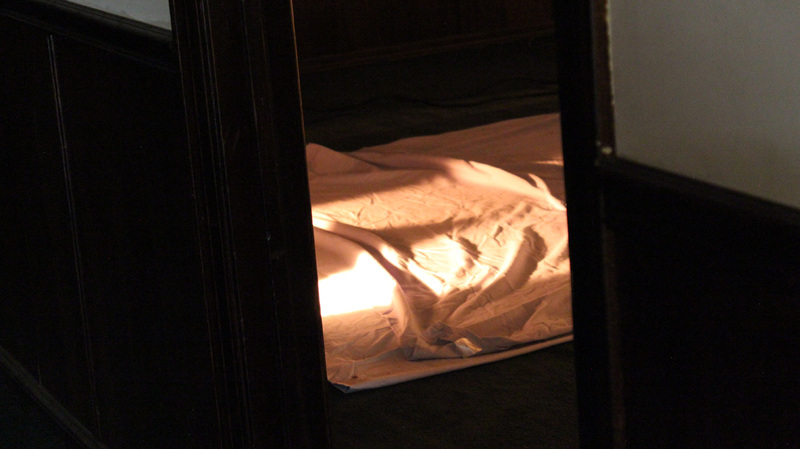 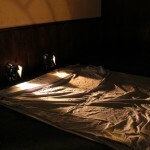 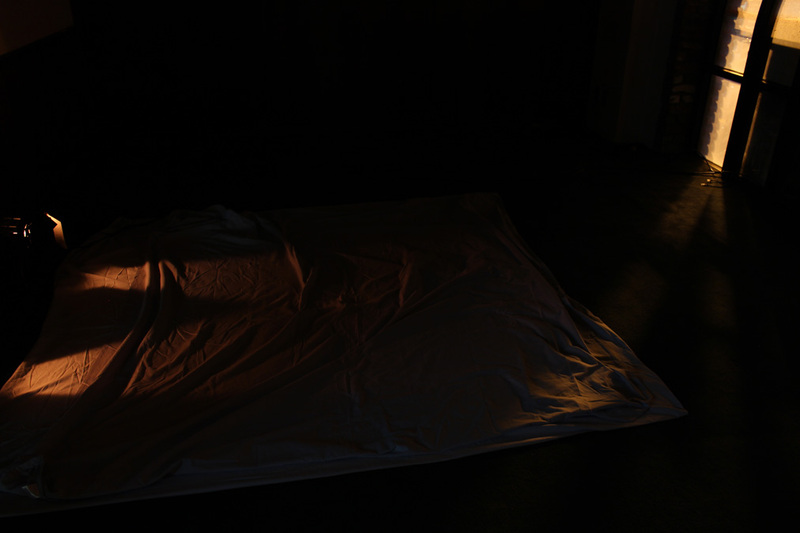 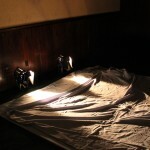 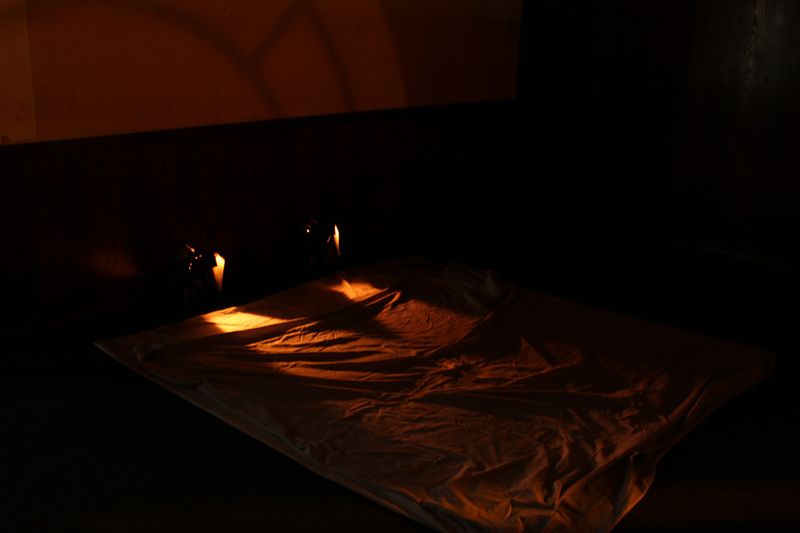 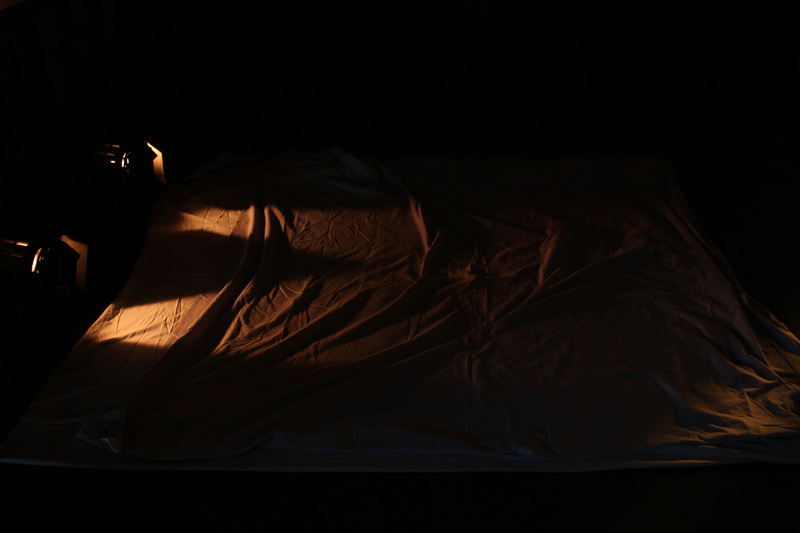 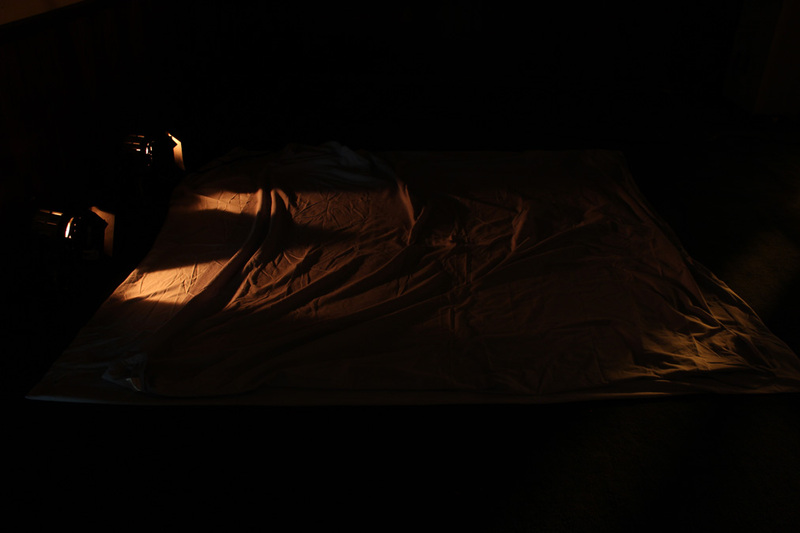 The installation was set up in an empty room, including some lighting through the window by streetlights on Broadway street, Los Angeles. 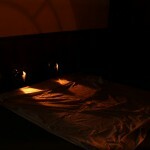 To me, light is like music, it touches the soul directly without going through language. 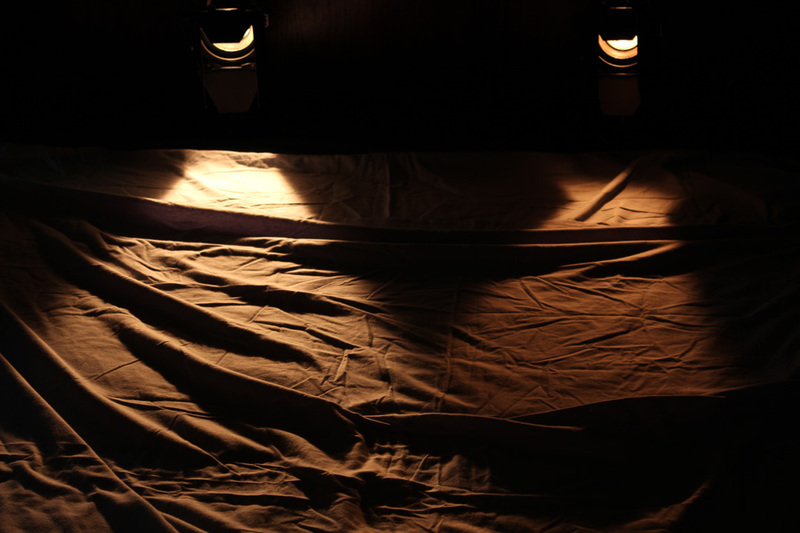 As with the fluctuating Kisses, the hope is that the luminous rhythms on the sheets evoke unspoken emotions in the viewer.